Explore, dream, and discover with the perfect backdrop for any sophisticated and modern tablescape. 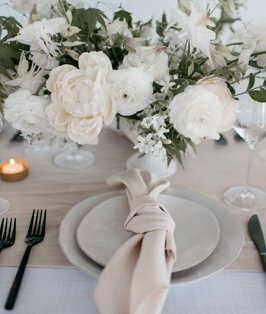 Our solid white Chalk Sonoma is light, airy, and romantic. Dream up the perfect tablescape with this as your foundation.